's letter of advice to a young writer. There is a C.S. Lewis meme that has gone viral across many of the writers I know online. As it shifts and changes form, it falls further and further out of its original context, finds forms that give it to writers as gospel truth with fewer and fewer grains of salt, and becomes ever prescriptive. Words like "always" and "never" make my adrenaline pump and my fists tingle for the sweet feel of justice. Sounds like just the sort of thing I need to Kung Fu fight! First of all, let's put Clive Staples Lewis into context so that I can tiger strike him right in the eyeball. He was born at the turn of the 20th century and wrote most of his books in the forties and fifties. He was dead before civil rights. A scholar and professor at Oxford and later Cambridge, he received, outside of his insanely popular Chronicles of Narnia, much of his recognition for being a Christian apologist, and an adherent to the idea that "natural law" created humans with "universal morality." I don't know about you, but a post-war, pre-civil rights, pre-ERA, pre-modern social justice era wasp at the tippy top of the ivory tower who believes that morality is "universal" to all people regardless of cultural norms is probably not going to dispense advice I would consider above reproach. (Ka-POW!) If there were ever someone who might be a little....inflexible about alternative ideas about what is "right," and in need of a power roundhouse to the paradigm, it might be such a person. The cultural bedrock of ethnocentricitynearly every facet of Lewis's life is phenomenal. It is even possible for him to be a progressive of his time [Ed. CB's note: and he was] but to still be affected by the institutional and invisible riptides of sexism, racism, heteronormative assumption, Christian-centricity, and ethnocentricity that we struggle against more consciously today. If I might further deepen the lotus blossom strike of context, Lewis was writing in a different era. The artistic movements that track major changes in philosophy and literature have shifted three major times since Lewis penned this advice. He was writing when New Criticism had just caught on and the big debate was between structuralism and post structuralism. Back then, a lot of people "in the system" felt like they had things pretty well figured out, and the literature of the time shows. There were RULES, you see. There were RULES in the writing, and there were RULES in the way you ought to live your life. One of the most disturbing books of this era that suggested things were not all sunshine and roses, and was immediately banned by many in "proper" society is considered to be absolutely positively mild by today's standards: The Catcher in the Rye. And today we kind of giggle at the thought of people being too uptight to read it back when CS Lewis was on the scene. Today we struggle against new social forces and anxieties and it shows in our literature. As with any art form, such expressions come through not only in content, but also form, and in literature that affects word choices and writing style. Quite literally in the best literature, the craft itself is a reflection of theme. During expressionism, we had Faulkner, Hemingway, and Eliot. During surrealism we had Kafka, and Joyce. Today we have urbanism, deconstruction, new formalism, and are otherwise floating kind of free--shockingly like our generation's difficulty defining itself. So unless we want to write a moralizing children's book, we might edge towards a less strict interpretation of language and its execution. We have a lot of social ambiguity, double speak, euphemisms, and linguistic inflation in our culture, so it's only natural that these cultural trends show up in our era's art--especially the ones that rely on linguistics. Rapid social change, and the anxiety it can cause those who enjoy the status quo is more akin today to Shakespeare's time. In fact, during the Elizabethan era you can see writers were breaking a lot of the "rules" of their day (like formal sonnet structure) to match their feelings about the rules of society. The same thing is happening today. And now to score a final axe kick of context...this is a letter written to a young writer. It was a private correspondence not intended to be advice to all writers everywhere for all time. Lewis may have identified problems in the young writer's prose and picked five things he thought could improve THAT writer. Young writers, and starting writers, often need to work on the basics before they deepen their sophistication. The young writer may have even solicited Lewis for advice about how to write a book like The Chronicles of Narnia--intended to be for kids. But a writer today who limited themselves to such stiff prose probably wouldn't find much of an audience and would want to take this advice without a grain of salt and a crescent kick of mitigating wisdom. Many great books of bygone eras wouldn't find an agent to represent them today. 1-Always try to use the language so as to make quite clear what you mean and make sure your sentence couldn’t mean anything else. Unless, of course, you're using intentional ambiguity or unless you intend to be confusing, which you may very well. Shakespeare is a master at turns of phrase which use verbs with multiple meanings. Perhaps Lewis might say that good ol' Billy was "quite clear" about a double meaning, but the sentence certainly could mean "anything else." Unless, of course, you want your narrative voice to accurately reflect current trends. Achieving verisimilitude with today's spoken cadence and timber of language would require not speaking like one were a fifties academic. If you are writing in a purely third person, disinterested, omniscient voice, this isn't terrible advice, but many many voices, including close third, first person, or a more sophisticated and official sounding omniscient narration might make a different narrative voice more appropriate--a voice that may engage in some of today's doublespeak. This is actually really good advice. Though we might bring up the concept of Earn it since this is clearly not absolutely universal, always-forever-no exceptions advice from Lewis or he probably would have titled His Hideous Strength a little differently. 5- Don’t use words too big for the subject. Don’t say “infinitely” when you mean “very”; otherwise you’ll have no word left when you want to talk about something really infinite. Clearly Lewis wrote this before the internet showed up. These days one has to compare everyone to Hitler if they want anyone to agree with what they think is wrong, and one must speak about the controversy over using one space or two after a sentence like they are describing war criminals. The name of the game is to out-hyperbole the other guy. And though that might not be great writing, a narrator might not KNOW that. Lewis wrote during a different era of writing--one where there were actually different writing conventions about narrative voice. Today's literary trends are hugely about character development and today's readers are more interested in the character of a narrative voice. Thus, it is far less likely, some seventy years after this advice was penned, to get a purely omniscient narrator who needs be this clinical. Take that C.S. Lewis's letter to a young writer. Take it right in the face! You don't like C.S. Lewis??? No no no. I LOVE C.S. Lewis. 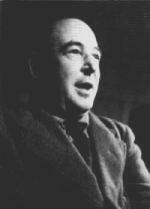 In CS Lewis time. I don't think that kind of writing would be as popular today, and I think this advice should be taken with a grain of salt. Also, remember that most of his works were intended as children's books, despite how much we as adults still lov them, so maybe they'd still find their niche. My heart got caught in my throat for a minute when I saw this title. "Not C.S Lewis!" Reepicheep was the bees knees. I have to say, though, that the writer made some very good points. I have a very romanticized idea of ol' Clive. I loved the Narnia stories of course, but his spiritual journey was actually one that still inspires me to think deeper, lean into it more, and that it is okay to use your brain when considering spiritual matters. Obviously, that's not the point of this article, but my reading of works by Lewis beyond Narnia has been from a spiritual growth perspective so I tend to expect different kinds of writing and language used in those types of works. I think different methods work for different authors, depending on their audience, their own style, and their perspective. Sometimes simplicity gets the job done. One of my favorite works by Lewis is A Grief Observed. I read it not long after I lost someone very close to me and I have to say, it was one of the most raw, profound writings he ever did. And it was pretty simply stated in most places. He might have been a privileged white boy, but the man had feelings. I think much of the advice he offered may be out of date these days, but depending on what you're writing, there may be room for it yet. One of the best points made in this post was basically how people have prooftexting something that was never intended to be for them and made it into something they want it to be. We've got a real problem with prooftexting in general these days from all kinds of sources, glad to see this writer call people out on the carpet for it. Still a little stung by some of the "KaPows", but have to give credit where it's due. Very interesting and good post.